Geoffrey Munroe represents plaintiffs in high-profile class action and mass tort cases in both federal and state courts throughout the United States. He was selected as a Rising Star by Northern California Super Lawyers, recognizing him as one of the best young attorneys practicing in Northern California, and as a Northern California Super Lawyer. He is the co-author of “Consumer Class Actions in the Wake of Daugherty v. American Honda Motor Company,” CAOC’s Forum Magazine, and a frequent contributor to the Class Action Litigation Group Newsletter of the American Association for Justice. 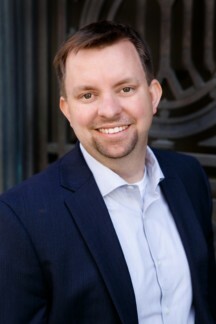 Mr. Munroe is a 2003 graduate of the University of California at Berkeley, Boalt Hall School of Law, where he was the recipient of the American Jurisprudence Award in Torts, Business Law & Policy and Computer Law. He received his undergraduate degree in chemistry from the University of California at Berkeley in 2000. Mr. Munroe is a member of the Public Justice Class Action Preservation Project Committee, the Class Action Litigation Group of the American Association for Justice and the Consumer Attorneys of California. He is a member of the California Bar and is admitted to practice before the United States Court of Appeals for the Ninth Circuit, as well as the United States District Courts for the Northern, Central and Southern Districts of California. Key member of the briefing team in this decade-long litigation that achieved a nationwide class action settlement on behalf of approximately 5 million consumers of Intel Pentium 4 processors. The lawsuit changed Intel’s benchmarking practices and Intel agreed to a cash settlement for the class, along with $4 million in charitable donations. Key member of the litigation team in this multi-district litigation alleging that Mercedes-Benz failed to disclose to its customers that the “Tele Aid” equipment installed in their vehicles would soon be obsolete and require an expensive replacement to keep working. Resulted in a class settlement providing for cash reimbursements of $650, or new vehicle credits for up to $1,300. Key member of the briefing team that achieved certification of a nationwide class alleging Hyundai sold vehicles with defective flywheel systems, before ultimately reaching a favorable settlement for the class. They are experienced and knowledgeable counsel and have significant breadth of experience in terms of consumer class actions.